Perpetual motion : for piano / Ann Carr-Boyd. An adaptation for piano of Part 3 of The Bells of Sydney harbour. 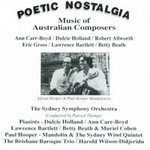 CD: Fading light : music of the Australian composers. 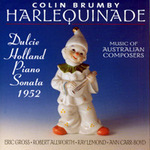 CD: Harlequinade : music of Australian composers.